Puna, whose name means 'spring' as in water rather than the season, and Kapua, whose name means 'cloud', are both brown kiwi about two years old. They were born in captivity and are part of a captive breeding program. Puna (I think). In the low light and with no flash it was difficult to get a reasonable photo. This photo was taken by a fellow blogger, Rhonda of Albom Adventures, at Wellington Zoo. David and I arrived at Kiwi North just before noon, thinking we would take a quick look around before spending the rest of the day exploring the nearby town of Whangarei. In the end we stayed until closing time at 4 pm, returning to the Kiwi House several times over the course of the afternoon to see what Puna and Kapua were up to. There are about 68,000 kiwi in New Zealand. 2% of unmanaged kiwi are lost every year. Females are larger than males. They grow up to 3.3 kg and 45 cm. Kiwi mate for life and live between 25 and 50 years. All kiwi species are threatened with extinction to varying degrees. Kiwi are shy. If you want a good view, be patient and keep your voice low. Because kiwi are nocturnal the Kiwi House lights are kept low. Give your eyes time to adjust. There is a closed circuit TV screen just before you enter. It shows the inside of the nesting box. If you can't see one or both kiwi, check the screen to see if they are in the nest. Visit in the morning if you can. 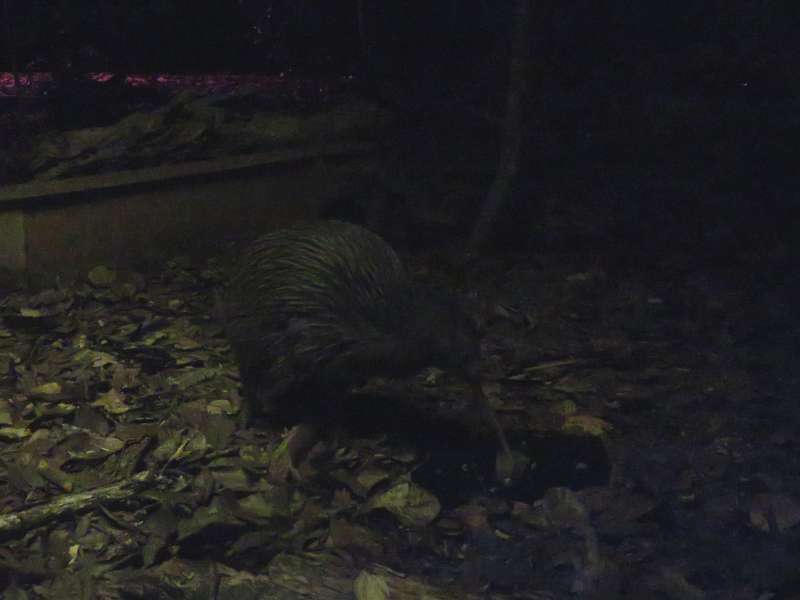 We were told that that is when the kiwi are most active, although as it turned out we got the best views of them not long before closing time. Time your visit to coincide with feeding times - 11 am, 1 pm and 3 pm. The feed dishes are set toward the front of the enclosure where the lighting is better. 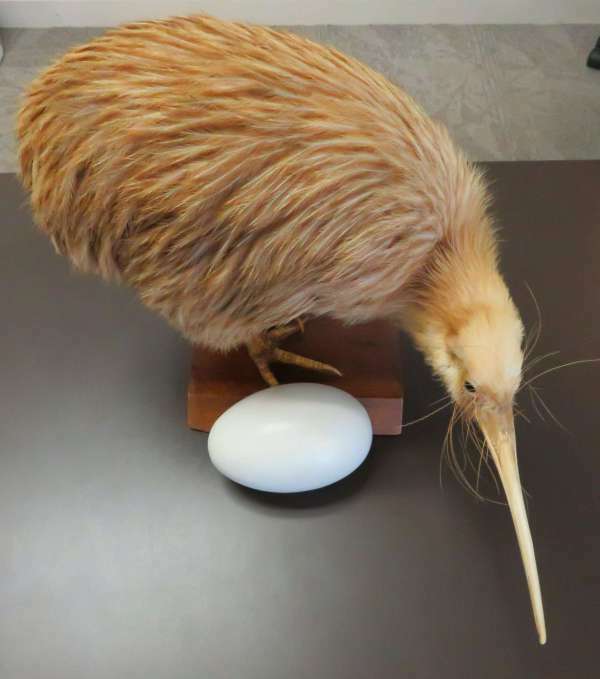 I have included this photo, of a stuffed kiwi, so you can see the enormous size of a kiwi egg. It is as big as an emu egg. It is hard to believe such a small bird could carry such a large egg. Tuatara - Although I had never heard of them before visiting Kiwi North, I found the tuatara almost as fascinating as the kiwi. Another New Zealand icon, the tuatara is a member of a 200 million year old species. Tuatara can live for well over 100 years and once lived alongside the dinosaurs. They are found today on only about 30 off-shore islands. Kiwi North's resident tuatara, named Flash. You can't see it now but when he was young, like all tuatara, this little guy had three eyes. As he grew, his third eye became covered with skin. Native Geckos - I find it hard to get too excited about geckos, but as geckos go, the Kiwi North reptiles, especially the bright green Northland and Auckland Geckos, are about as cute as it gets. 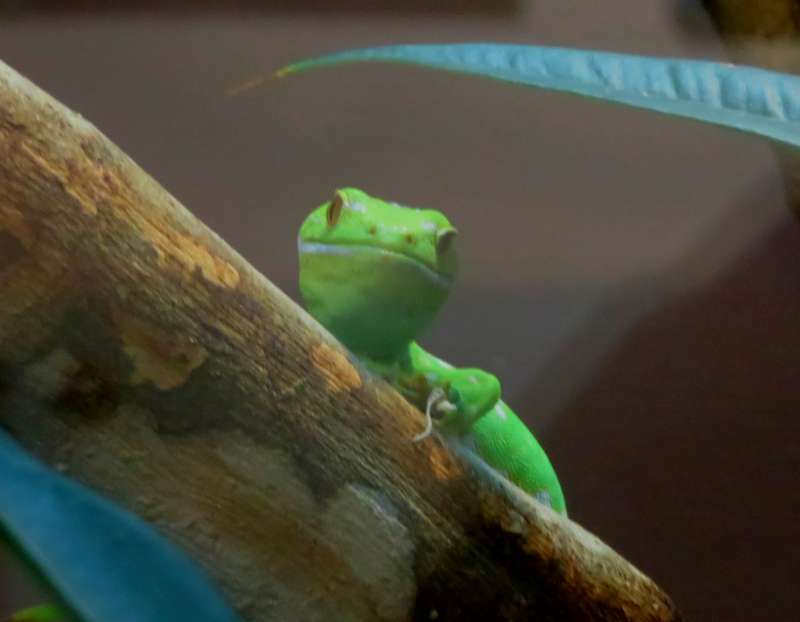 A Northland Green Gecko - looking cute! Whangarei Museum - I would love to be able to say that alongside the kiwi, tuatara and geckos, Kiwi North has a live Moa. I can't of course. The Moa were hunted to extinction when Maoris arrived in New Zealand hundreds of years ago. However the Whangarei Museum which is part of Kiwi North provides a fascinating insight into the story of this gigantic, flightless bird. Heritage Park - A collection of heritage buildings are in the grounds of Kiwi North, with the oldest dating from 1860. 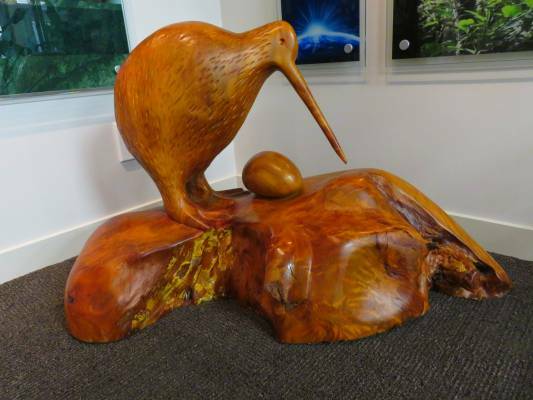 Kiwi North is at 500 State Highway 14, Maunu, Whangarei, Northland. 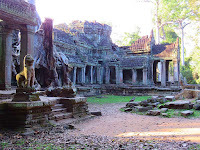 It is open daily between 10 am and 4 pm. Entrance prices are: Adults - $20, Seniors and adult Students - $15, Children - $5, Infants under 5 ys - free and Families (2 adults and 3 children) - $45. Look for @KiwiNorth on Facebook. Note: David and I received complimentary admission to Kiwi North. I love wildlife. This looks fun. It was fun. I had no idea kiwis could be so cute. Wow! That egg is almost as big as the bird. 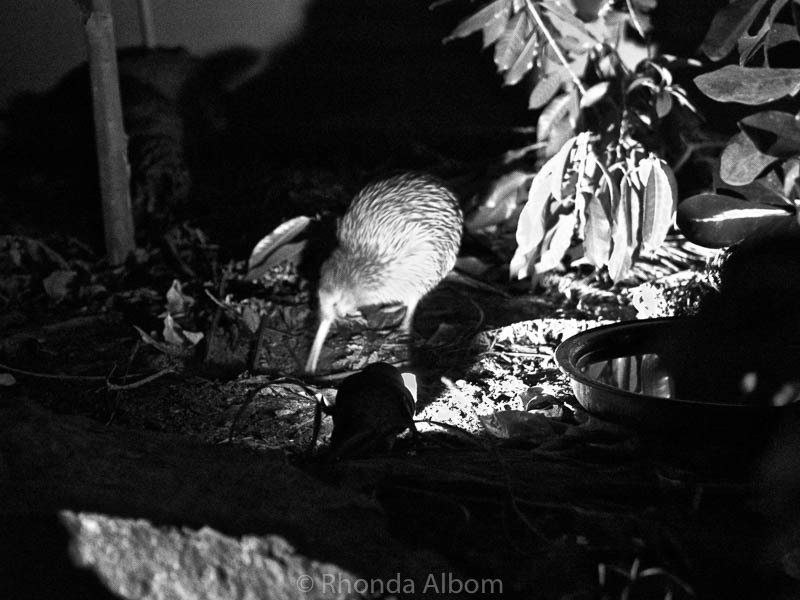 I've not seen real photos of a Kiwi before - very cool! Kiwis are difficult to get a good photo of. I really don't have a good enough camera, or the skill, to take a low light photo. You're right about the egg being as big as the bird. Once you take away the feathers the egg would have filled almost the whole body of the kiwi. We saw a kiwi skeleton with an egg inside and it didn't look like there was room for anything else. I've always wanted to see a real kiwi. I will add this spot to my list, be assured. I can recommend Kiwi North. I have been to kiwi houses before and not seen them half as well as here. I will have to google why they are a symbol of NZ. Kevin, who showed us around, said that New Zealanders are called Kiwis because in the First World War they had a symbol of a kiwi on their caps and so became known as kiwis. That doesn't explain why the symbol was there in the first place though. Haha - I think calling New Zealanders kiwis is a bit like calling tall people 'shorty' or red-haired people 'bluey'. The description doesn't fit but who cares! As for the animals, we were told at Kiwi North New Zealand only has two native land mammals, and they are both very small bats. The kiwi is such a little cutie though I think it makes up for the lack of mammals. Yes - I agree. I think mothers all over the world would sympathise. I'm so surprised at the size of the kiwi egg! Also, the tuatara seems fascinating - imagine living for over 100+ years! Flash, the Kiwi North tuatara, may well live for much longer. 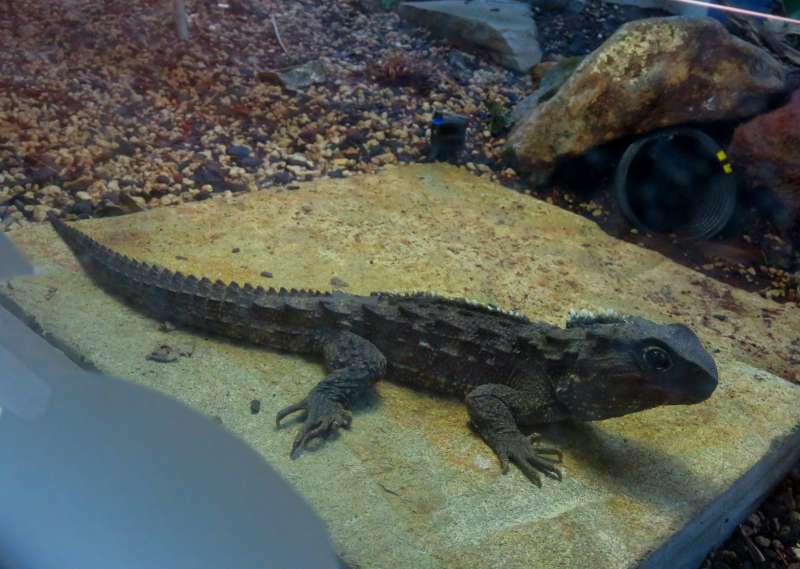 No-one yet knows how long tuatara will live in captivity, safe from predators. Thank you for visiting Kiwi North David and Lyn. It was our pleasure to welcome you to our place and to show you what we do here. New Zealand's native creatures are truly unique as the country was isolated for millions of years, thriving without any land mammals. Happy travelling and keep up the good work. I appreciate the kind words. We are loving New Zealand, as always. Don't forget the geckos. With your photography skills you could make that little guy famous. I was really taken with him. I love animals which look straight at the camera. I loved that green gecko just pocking his head over the branch. Great shot. Thanks. As you can see, I thought he was gorgeous. I have never heard of a tuatara either. Kiwi-North looks like a great place to visit. It sounds like it captured your attention more than you had anticipated. I like that they manipulate the habitat environment so that visitors can fully appreciate the kiwi without disturbing them too much. It did capture our attention. I thought it would be a quick visit but I loved watching the kiwi. New Zealand is a great destination. We have tried to see kiwi before but this is the first time we have had any success. I don't know much about kiwis and found this very interesting. Sad that they are threatened with extinction. I'd love to visit Kiwi North. New Zealand takes the protection of its native birds and reptiles very seriously. If anyone can save a species from extinction New Zealand can. The closest I came to seeing a kiwi when I visited New Zealand was a stuffed one, but not as cute at the stuffed one you post. I did buy a kiwi puzzle as a souvenir, the idea being that you had to undo a bunch of twists and turns of string to remove the huge egg from the little kiwis body. I wonder where that puzzle is now? Haha - I want to get a kiwi ornament as a souvenir but we haven't spent enough time near shops for me to buy one. They had some great ones at Kiwi North but I was too busy looking at the real thing to choose one. I love your gecko photo. I think they're cute! The Kiwis are cute too (especially the stuffed one) and it's so sad that 2% are lost every year! On one of those Facebook surveys New Zealand came up as the Number 1 place for me to visit, so perhaps in the distant future I'll head over.....and try to find a Kiwi! I think finding one in the wild is almost impossible. They are nocturnal and very good at hiding. Let me know if you ever plan an NZ trip and I'll give you some advice on the best places to go. David and I visit NZ every couple of years. I missed Kiwi North when I was in Whangerei, but I have seen them in Christchurch. I'd love to see one in the wild but I don't think it's very likely! Seeing one in the wild would be fantastic but, I'm with you, it is not likely to happen. i never knew so much about Kiwis. Interesting. I like your comment about the Kiwi being the unofficial national symbol for NZ. Did you know that Ben Franklin wanted the wild turkey to be America's symbol? He wasn't persuasive and we chose the eagle instead. I wonder how our entire national personality might be different had he prevailed. Haha - what fun to have a turkey as your national symbol. A bit embarrassing though. I imagine generations of comedians would have loved it. These were the first I have ever seen clearly. I saw one years ago somewhere in New Zealand but the enclosure was so dark I could hardly make it out. These little birds look amazing! Totally out of character for typical New Zealand!